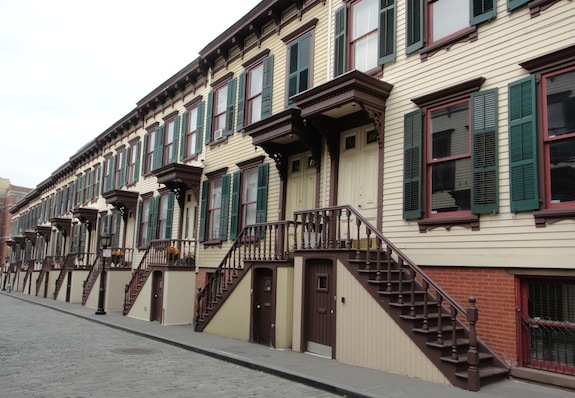 Sylvan Terrace is comprised of 20 wood frame houses built in 1882. Today they’re all Landmarked and in good to great condition. The narrow cobblestone street makes you feel like you’re on the movie set for a period movie. Whatever the history, they’re completely charming, but they are tiny… Most of the ones on the north side of the street are 1,500 sq. ft (20′ x 25′ x 3 stories), while most of the ones on the south side are 1425 sq. ft. (19.5′ x 25′ x 3 stories) including the walls and stairs. Useable square footage is smaller yet – I’d guess it’s about 1,200 sq. ft. Essentially you have one large room on each of the two lower floors and two adequate size bedrooms on the top floor (though I saw one that carved a 3rd small, double decked, kids playroom out of the top floor). Ceilings are quite high – especially on the top floor in the front. The take-away is that the max price for one of these places at the height of the market was $1.05M and there have been no sales since the crash. I’m not allowed to discuss other agents’ active listings, but I can talk about inactive listings 🙂 #2 – a larger, apparently nicely renovated end unit with more windows and better light – went on the market in November 2009 for $1.1M. It was finally taken off the market a few months ago. It’s final asking price was $800K. So it’s fair to say that the current market value of a nicely renovated Sylvan Terrace townhouse is below $800K. The other item which should be mentioned is that, unlike most of the townhouses I discuss here, these houses are mortgageable with conventional mortgages. Most are legal 1 families, a few are legal 2 families. When you think about the price you’d pay for a 1,200 sq. ft. 2 bedroom condo or coop, Sylvan Terrace could be a good deal – and you get a proper house in a charming little neighborhood with a small back yard (for barbecuing, etc. ), and from what I hear the neighbors are nice and fairly close-knit. There’s also a subway stop 1 block away (the C train). 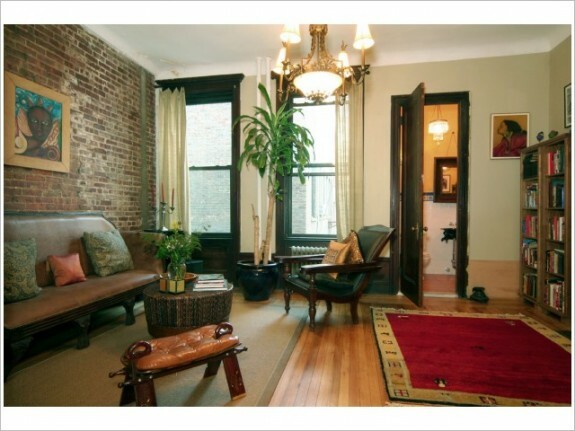 In our hunt for a townhouse we looked at 30 different places. A few of them were far more memorable than the others. 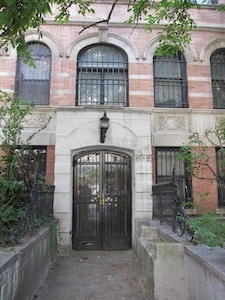 One of the memorable ones was 642 West 158th Street, which we saw in August of 2009. If you’ve ever driven up the West Side Highway and gotten off in the 150s, you drove past it – it’s on the block just as you get off the highway. Well, it sold January 21st for $700,000. It had been on the market since June of 2009. 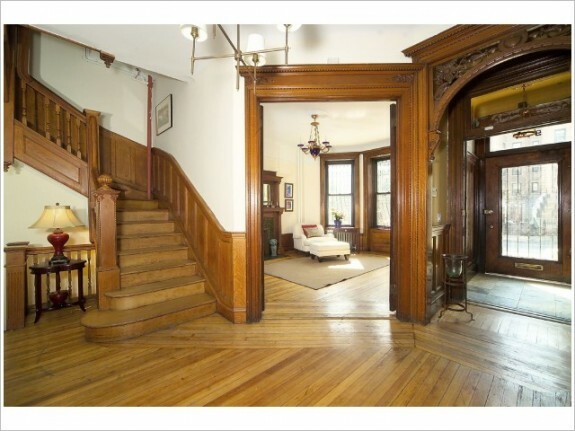 It’s original asking price was $1.1M, which had been dropped to $895K – so the buyer negotiated $200K off the asking. It’s a nice wide townhouse – 18 2/3rd feet wide. Including the solarium extension and the room under it, the house has roughly 3,800 square feet, so it sold for about $185/sq. ft.
On the upside, while it needed a major renovation, what it needed was largely just cosmetic – but we’re talking major cosmetic work. There was also some cracks in the front façade which might indicate structural issues, and the rear solarium was leaking and there was a pretty serious mold problem because of it. But all in all, the house was solid and probably had newish electrical and plumbing. Besides the taste issue, on the downside was location… The only subway close to it is the 1 train. There’s lots of traffic passing in front of the house off the Westside Highway – so it’s not a cute tree-lined brownstone block. The neighborhood isn’t as good as some others, etc. BUT – with just a little work the house was completely livable if you can deal with the decor. 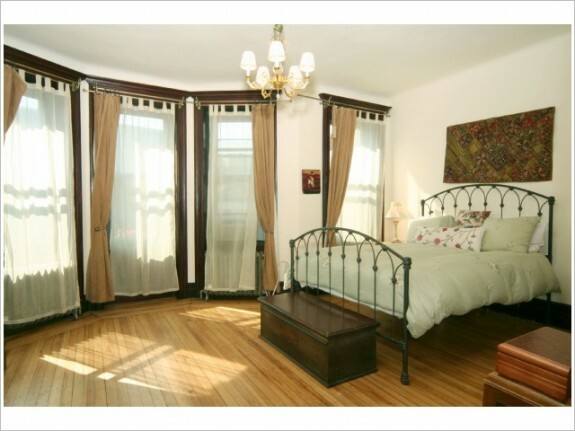 So this is another (just north of Harlem) Washington Heights townhouse that’s selling at a pretty economical price. I’d guess it would cost about $150/sq. 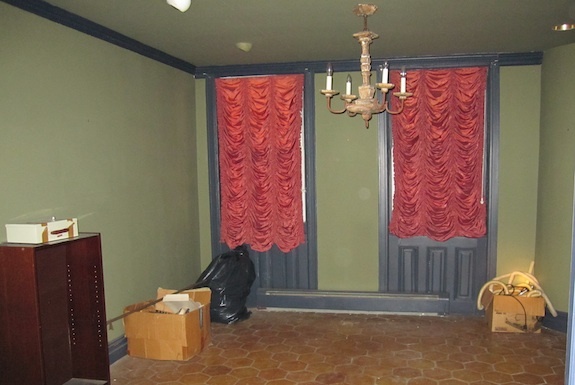 ft. ($570K) to renovate the place properly, so the total cost is under $1.3M and under $350/sq. ft. But you could spend less and have a perfectly nice townhouse for under $1M. So there are still good deals available if you need space and can only afford to spend under a million. Case and point is 944 St. Nicolas Ave (between 157 and 158). 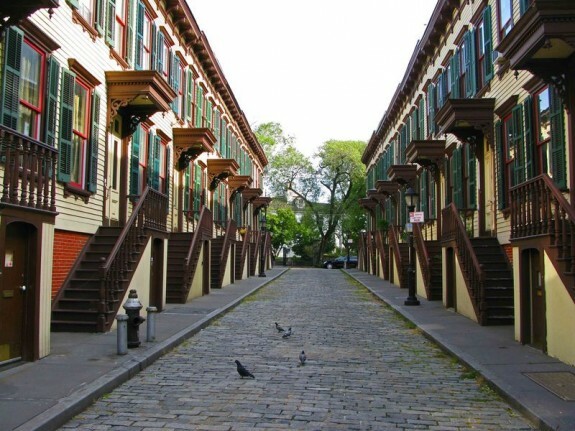 It’s technically in Southern Washington Heights – but just barely outside the northern boundary of Harlem (which ends at 155), and historically it’s in Carmansville – most of which is now called Sugar Hill, which is part of Harlem. 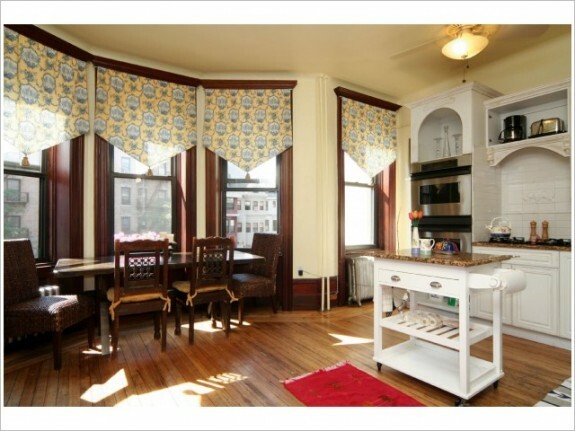 Anyway, it just sold for $935K (291/sq. ft. including basement). 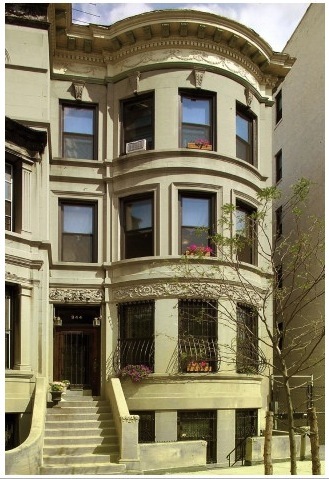 I’d say the buyers got a great deal – a perfectly livable townhouse for under $1M. If you look at the pictures below you’ll see it was in pretty good shape and appears to mostly just need a little cosmetic work to suit the tastes of the new buyers. 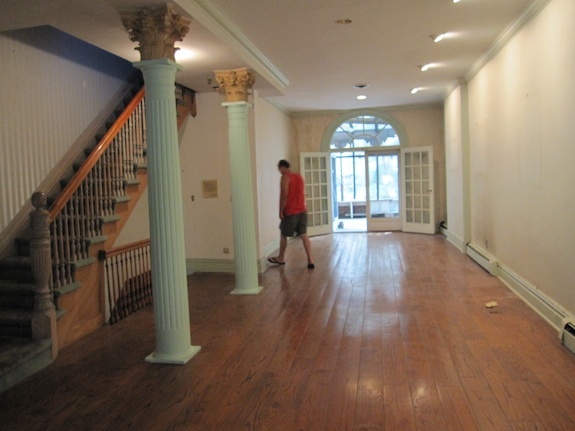 (That said, 100 year old townhouses always need some sort of work – sometimes it’s substantial despite pretty pictures). There are some negatives though… Subway access is OK, but not great – just the A & C trains. It’s in a pretty sleepy neighborhood, and not in a historic district. Aspects of the layout are slightly awkward. 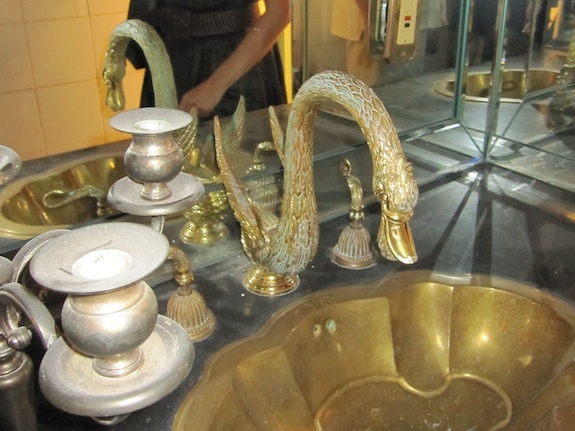 It’s “renovated”, but it looks like each of the bathrooms was renovated in a different style. And it’s on a short, 50′ lot with just 10′ of back yard.